Kelwin wrote: But overall, it's definitely a good thing. Really? I seen mostly a lot of tangled up people coming out of the DW, not much fun at all. Absolutely, and as you know, I was indeed one of them. My main criticism of DW would be the somewhat confined mentality, not approving of students visiting other teachers. There is a strong dominant idea that you should only follow one teacher. If not, you're just really confused. Well, I certainly won't deny having a strongly confused ego, but this approach isn't very helpful. For many who feel that they belong somewhere else, but don't know where to go, and don't get much support, it's indeed very hard. However, I still maintain that overall, for the greatest number of people, it's definitely a good thing. And you know what, even for those who struggled, including me, it can be a positive experience in retrospect. conebeckham wrote: Would you say, then, that DW intentionally devalues strict retreat? Would you say that perhaps they value quantity (of teachers, centers) over quality? Well, I wouldn't say that at all. DW certainly invites people to do retreats, and many retreat centers exist in it! But the approach is very loose. Ole usually suggests people to do retreat for a weekend, then a week, then maybe two weeks, then a bit longer, etc. Not many people actually go beyond that. Jumping into really long term retreat is often a mistake, usually caused by ego's fascination. And that is certainly discouraged in DW. And yes, I have to say, Ole mentioned many times that he wasn't so impressed with many people who did 3 year retreat. Lots of knowledge of practice, but fear of life. Not very useful for a Bodhisattva. However, if people show up who seem genuinely interested in long-term retreat, Ole will happily send them to appropriate lamas who can help them. Mostly lamas of the Dhagpo Kagyu mandala, old students of Gendun Rinpoche. I agree that not all three year retreat graduates may be suitable Dharma teachers. But I'd bet that three year retreatants have a more complete, and I daresay a more developed, practice, in general. For what it's worth, many more "traditional" centers, Kagyu and Non-Kagyu, do have teachers, at various levels, who have not completed 3 year retreats. But the complete contents of the Kagyu transmissions require a certain amount of strict retreat, I think--perhaps not a 3 year retreat, but some sort of disciplined retreat program, for sure. It's fine to propose an alternative for those who are not able, willing, or ready to undertake lengthy strict retreats--and, in fact, every Dharma center I've been to does this--but to dispense with, or devalue, long retreats seems to be missing one of the key elements of Vajrayana. Absolutely, if you want to transmit the complete contents of the Kagyu lineage, long-term retreat is the only way to go. But that's not the aim of DW. Instead it tries to provide a simple path for householders to achieve accomplishment. Successful or not, that's debatable, but a different goal, and I think a worthy and interesting one. Important point here: Ole always recognizes the need for the traditional lineage to survive. He actually considers that a great value and even necessity, to be able to have an organisation like DW. conebeckham wrote: .. but equating DW with centers that have resident Lamas, retreat graduates, people who are actually empowered to transmit the blessings of the lineage, strikes me as wrong. True! So Ole tries to visit and bless every center. And practicing in a place with his blessing, the altar with Karmapa, the long-term students who practice along, etc, actually connects one to the blessing. 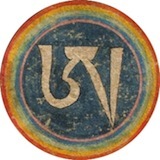 Kamtsang Ngondro is part of the Path of Liberation, the Path of Mahamudra, which is taught in Chagchen Ngedon Gyatso and other texts. I think it's great that people practice the ngondro. One needs a Vajrasattva empowerment, from a qualified Lama--and I understand DW centers have Lamas visit who bestow these empowerments. I question whether Ole was given the authority to bestow empowerments, --though I understand he was authorized to teach the Longchen Nyingthik Powa, and perhaps some other practices. At some point, if one is practicing The Path of Liberation, one needs to have a close relationship, over a long period of time, with a qualified Lama who can train students using the methods in the texts. Are those who complete Ngondro at DW centers moving on in this regard? Do they have someone who can function as a Mahamudra teacher? Empowerments are giving by lamas like Karmapa Thaye Dorje, Shamar Rinpoche, Sherab Gyaltsen Rinpoche, Jigme Rinpoche, Shangpa Rinpoche and the late Lopon Tsechu Rinpoche. Ole has permission to give refuge, Bodhisattva vows, 8th Karmapa, phowa, and some side practices. Maybe more I don't know about, of course. He does not consider himself to be a lineage holder, but a student of the Karmapas. He does not give empowerments in any traditional sense. 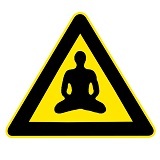 Mahamudra is an interesting topic here. Can Ole give the mahamudra transmission? He does certain things that might be considered to be pointing out instructions. He gives some private mind instructions as well. Traveling with him can certainly be an enlightening experience. And he's happy to send people to other Mahamudra lamas when they're interested in more. But I agree, a more traditional way of approaching Mahamudra is not available within DW. No need to get personal. The problem is exactly this, how come they don't know were to go? I think there is to much of Ole's politics and of his personal taste coloring the DW and making the members strangely isolated. It is one sign of a cult. heart wrote: Really? I seen mostly a lot of tangled up people coming out of the DW, not much fun at all. No need to get personal. Eh? Magnus? What did I say wrong? I hope you didn't misread the sentence 'If not, you're just really confused', which meant 'if you don't agree in the DW that you should follow one teacher, you are considered to be really confused'. And the sentence 'but this approach isn't very helpful', refers to the DW approach. Sorry if you misunderstood my writings there, I should have phrased it more clearly then. I'd never attack you, after all you're my big dharma super-hero! The problem is exactly this, how come they don't know were to go? I think there is to much of Ole's politics and of his personal taste coloring the DW and making the members strangely isolated. It is one sign of a cult. Indeed, and that is my main criticism of the DW. It's really sad, for many members to be stuck in such a way. Even though I consider the overall thing to be positive, that aspect could certainly use a change for the better. heart wrote: I think there is to much of Ole's politics and of his personal taste coloring the DW and making the members strangely isolated. It is one sign of a cult. Let me start by saying that, by what I will ask now, I do not mean to degrade Kelwins contributions to this thread, their personal experiences are invaluable in helping us understand the phenomena of DW, BUT I would also like to ask others lurking out there (whether guests or members) that have had experience with DW to please share them with us in order to help give us a more objective view of the situation. gregkavarnos wrote: Let me start by saying that, by what I will ask now, I do not mean to degrade Kelwins contributions to this thread, their personal experiences are invaluable in helping us understand the phenomena of DW, BUT I would also like to ask others lurking out there (whether guests or members) that have had experience with DW to please share them with us in order to help give us a more objective view of the situation. Hey Greg, that's certainly not degrading, I'm very interested to hear it as well! In fact I do feel a little weird in this thread, somewhat defending an organisation I left myself. Would love to hear from others, and their views and experiences. I think DW is overtly conservative in a political sense. It came into being as a result of conflict more than as a result of the realization of it's leader. It aims to offer an alternative but you wonder why the alternative is required. It is a harmful organization in terms of the Kagyu lineage and I if it faded away tomorrow it's loss wouldn't really be mourned. It has no intrinsic value as it's not by itself a lineage. I think that it is cultish and unnecessary. It's the organization of egotist and not a realized practitioner. I feel sorry for those who get involved. I've met many of them at retreats and they seem very nervous, anxious types. It's a sad situation. heart wrote: No need to get personal. Kelwin wrote: Absolutely, and as you know, I was indeed one of them. For me it was enough talking about this in general, you didn't need to out yourself on my behalf. But anyway I am certainly not your "big dharma super-hero". Location: Mudhole? Slimy? My home, this is. heart wrote: I think DW is a kind of thin soup, but who am I to judge that. Thin soups also seem to be the latest trend in Dharma. But I have serious doubts of Ole Nydahl and I think his organization have some cultist overtones based on several long discussions with members and former members. I have never practiced in DW - having always been allegric to Ole Nydahl - but plenty of my friends have gone through DW and some of them are simultaneously in DW and Dzogchen Community. Judging by what I know, I am afraid your comment might be spot-on. Part of the problem may be the fact that it is precisely Nydahl's conspicuous persona which attracts people - a brilliant PR ploy, goes without saying, but also a move that could, and apparently not infrequently does, result in a dangerous misconstrual of what one's devotion to one's guru should consists in. Guys trying to look like Nydahl lookalikes are just amusing, but I am sick and tired of listening to people repeat Nydahl's statements on various socio-political issues as if they were not only Dharma teachings, but by definition unquestionably accurate. Also, while Nydahl may have outgrown his well-known (and inglorious) role in the Karmapa controversy, his followers are surely less 'enlightened' in this matter. Still, since DW appears to be a transitory stage for so many people - who often quite quickly go on to another sangha - I wouldn't say Nydahl's institution has no saving graces.
. . . there they saw a rock! But it wasn't a rock . . .
Andrew108 wrote: It's a rant so I don't think I need evidence. In which case prepare to have it decimated on the basis of evidence. It came into being as a result of conflict more than as a result of the realization of it's leader. Quite the contrary, it came about when Ole and Hannah (after first meeting and becoming students of Lopon Tsechu Rinpoche) met and became students of the 16th Karmapa in 1969, three years later the 16th Karmapa "asked" Ole and Hannah to start meditation centres in his name in the West. This is verified by sources that support (Ole himself) and criticise (Erik Curren) DW. So where is the conflict that gave birth to DW? It aims to offer an alternative but you wonder why the alternative is required. For all the reasons outlined over the past three pages of discussion. But, really, what do you mean by alternative? It is not an alternative, it is more an adjunct than an alternative. How can it possibly harm the Kagyu lineage when its role seems to be that of drawing people towards the Kagyu lineage by acting essentially as a "halfway house" between no practice at all and strictly traditional practice?. ...and I if it faded away tomorrow it's loss wouldn't really be mourned. I am sure that the thousands of people that study and practice in DW may mourn its loss. I think that it is cultish and unnecessary. It's the organization of egotist and not a realized practitioner. Yes, well, I think you may find that even traditionally trained teachers with some degree of realisation are quite capable of being tarred with the same brush, wouldn't you say? I feel sorry for those who get involved. I've met many of them at retreats and they seem very nervous, anxious types. It's a sad situation. Nervous and anxious? Like arriving unannounced in the middle of a conversation, cutting the cheese and then grinning stupidly when asked to explain oneself? That type of nervous and anxious? It's very interesting the great need many people feel to bash Lama Ole. If you dislike the lama and his Buddhist group, why do you want to give them so much attention? The guy has worked like a dog to spread dharma all over the world. Give him a break. I doubt the Buddha spent much time bashing other teachers he felt allergic to. As for his followers, they kind of remind me of Trungpa's followers during the wild Boulder days. Yes, they like to party and do wild things like jump out of airplanes, but IMHO, the Naropa Institute parties while Trungpa Rinpoche was alive make Diamond Way parties look rather tame. Like others have said, they are serious about Ngondro practice. honestdboy wrote: It's very interesting the great need many people feel to bash Lama Ole. If you dislike the lama and his Buddhist group, why do you want to give them so much attention? The guy has worked like a dog to spread dharma all over the world. Well, by his own admission he has been a dog, dog, and this well after his intensive teachings from the Karmapa and other lamas. That didn't have a detrimental effect on the transmission of Dharma? As for his followers, they kind of remind me of Trungpa's followers during the wild Boulder days. Certainly true - lots of people like that. Wild things? Jumping out of airplanes, free climbing, surfing, etc. aren't wild (except maybe for real big wave surfing and radical free climbing ...). Like others have said, they are serious about Ngondro practice. Trungpa and Ole might really be about facilitating ngondro for their students. Trungpa however clear misunderstood his students and went too far. Ole knows better on that. Seriously? Now you are disappointing me. Ole been more or less in the same circles as Breivik here in Europe for a long time. I don't know about Nydahl himself, but Diamond Way sangha in Poland got heavily involved in at least one demo alongside Polish Nazis - and they are, or at least were, most vociferously active in many Polish anti-Islam campaigns. The main idea was not to let Muslims build the first ever mosque in Warsaw, which, DW argued, would surely lead to the sharia law being installed in the counry. You could see Buddhist flags mixed with banners bearing racist, integralist and often openly fascist slogans. Quite possibly the most stupid and destructive political act any contemporarily active Buddhist sangha has ever done. There's hardly any Muslims in Poland - something like 30,000 (at the very most) against the population of 38 million, and the immigration laws are (inanely) strict - but unfortunately NS leanings are very much a not insignificant socio-political problem there, as is racism. Not to mention the fact that the aforementioned Polish NS skinheads would just bleeding love to see every single Buddhist leave Poland forever and ever - or, if they happen to be white, become a proper national Catholic at last. And, to state the obvious, if there's any religious fundamentalism that is still thriving in Poland, it's of Catholic variety: no need to import anything, the real thing has always been at hand here and now. Also, this was perhaps the biggest media event any Buddhist sangha in Poland has ever got involved in. Quite a way to advertise, innit? Last edited by treehuggingoctopus on Wed May 02, 2012 8:15 pm, edited 1 time in total. gregkavarnos wrote: The linked article is pretty thin on evidence. . . . Lots of speculation and very little fact. Not a very good article at all. I wasn't exactly present, but loads of people I know were (and, as has been said, the whole thing caused quite a scandal throughout Polish media); the demo was indeed organized by both DW and MW (the all-Polish scum the article's author refers to). Also, both before the thing happened and afterwards I tried to talk some sense into Nydahl's followers - which led nowhere, predictably enough. Or, better, deeper into acrimony. I agree that the artcicle is bad - the trouble is, all the better ones are in Polish. I don't think Nydahl knew about the initiative. On the other hand, DW is really strong in Poland - out of their 600 centres more than 50 are there. He may not have known about the initiative.....but his face is on those posters, isn't it? Sounds like, at the very least, he needs to do some damage control, or endorse the protest. Also, on a tangent, man, that "Transcultural Buddhism" blog is disturbing.